When I first learned that Ty had lymphoma, I read everything I could possibly find on it. As a result, I came across some really good resources. I also came across plenty of bad ones. The list below are the items that I found the most helpful. Some of these are specific to canine lymphoma, while others are broader and cover cancer in dogs in general. 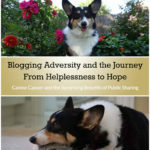 The Dog Cancer Survival Guide: This book has been my number one resource for dealing with Ty’s cancer. The book covers just about everything you would want to know from types of cancer to treatment, diet, supplements, and easing your own stress. It has a good mix of holistic information and traditional medicine information with lots and lots of information on each type of chemotherapy and supplements. The author is the creator of the supplement Apocaps, so there is some personal gain there, but I never felt like that had any effect on the value of the information and intend to use Apocaps myself. The National Canine Cancer Foundation Survivor Stories Page: This is a seriously great page to read. It is full of what I needed the most after learning of Ty’s diagnosis: Hope. 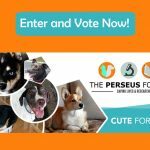 The Perseus Foundation T Cell Project: Ty is enrolled in this project, which aims to bring T-cell infusion therapy to dogs across the country. The therapy offers the potential of a very long or permanent remission in dogs with B cell Lymphoma. The Canine T Cell Project on Facebook: This is the Facebook page for the T cell project. 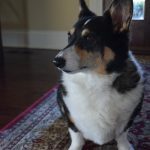 Every Day is a Good Day: This is one of the few sites I could find that gave a full personal story of the journey through canine,lymphoma coupled with lots of great information. 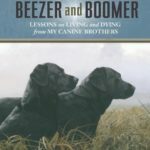 If your dog has lymphoma, I suggest that you read Berry’s story as it provides a full guide to dealing with the disease along with a personal touch. Vet Cancer Society: This is a good resource for basic cancer information along with resources to help you find an oncologist or clinical trial. Vet Cancer Trials: This subsection of the Vet Cancer Society website allows you to search for veterinary cancer clinical trials. For those who cannot afford treatment or those who are seeking help where other treatments failed, it can be a wonderful resource. There are also sometimes various trials that may work in conjunction with your normal treatment protocol. 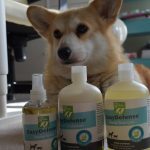 Land of Pure Gold Foundation: This site provides a wealth of canine cancer information. 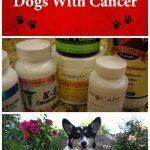 The Dog Cancer Blog: This blog is from the authors of the Dog Cancer Survival Guide that I linked to above. There is a fair amount of good free information there and, if you sign up for the newsletter, you will get a pretty good free cancer diet ebook. There is some marketing/selling on the site, although it is not overdone and generally is for products that I support. Effect of Fish Oil, Arginine and,Doxorubicin Chemotherapy on Remission and Survival Time for Dogs with Lymphoma:This study backs up some of the previously ancedotal evidence of the value of a high protein/high fat and low carb diet in dogs with lymphoma. Hills, who is behind the study, forumlated a dog food to go with it that you can obtain through your vet. 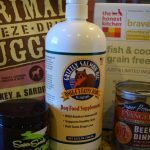 I personally have chosen a different food (Primal Freeze Dried Raw Turkey and Sardine) that meets the same nutritional recommendations and then I add fish oil. The Madison Wisconsin Lymphoma Protocol: This is the standard Madison Wisconsin protocol schedule. It is also known as the CHOP protocol. 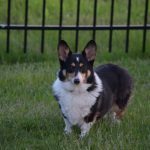 CanineLymphoma.com: A website dedicated to lymphoma information. It isn’t as in depth as I would like on some topics, but it gives a very good overview of most of them. 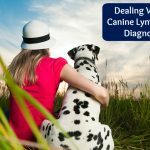 The PetMD Canine Lymphoma Page: A good basic overview of the disease. 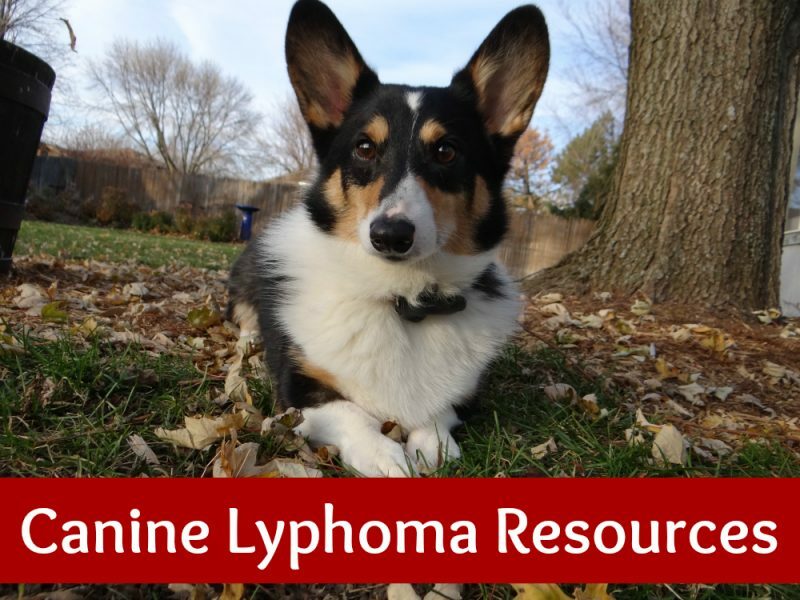 The Purdue University Canine Lymphoma Page: Another good overview of the disease. Rescue Therapy for Canine Lymphoma: This article gives a good amount of information on rescue therapy protocols for when a dog has come out of remission. Veterinary Cancer Specialists Lymphoma Page: This page has a great overview of the disease and also provides a nice summary of the various treatment options and protocols. 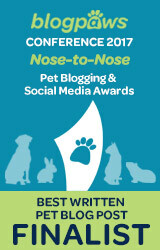 Canines in Crisis Message Board: This is a web forum full of great information from other pet parents. Canine Lymphoma Pet Owners Sharing Stories: A Facebook group for support and information. Fighting Canine Lymphoma: This is a public Facebook group for lymphoma information and support. Lymphoma Heart Dogs in Chemo: This Facebook group is for owners whose dogs are in chemo. While it is a wonderful and supportive group, it has some stringent membership requirements and is fairly actively moderated, which some might find to be a good thing while others might find it stifling. Either way, it is one of the best groups for chemo information and is full of supportive people. T Cell Infusion Group: If you have done t-cell infusion, there is a private group for owners. Please contact me for details. Puppy on a Roomba: This is Ty’s personal Facebook page where he shares his life and treatment from his own point of view. 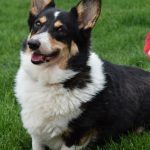 Bella Warrior Princess: Bella is a corgi who has been in remission for 30 months as of the date of this writing. Her story is inspiring and she provides lots of great information on her page, especially in regard to holistic treatments. If you have a personal Facebook page for your dog with lymphoma, put it in the comments and I will add it to the list! Read the other posts in the Canine Lymphoma Series. My friend Bocker Labradoodle has lymphoma. So scary – Thank you for sharing this information. These are great resources! I’m so sorry that Ty is battling lymphoma. That is really scary. As you’ve noted, it takes a ton of resources and research to handle that kind of a problem. I think you have found some very useful websites. Thanks for the shout-out to Bella, Warrior Princess. When we first began our journey, we attempted to set up an in-person cancer support group and on the first Wednesday of each month, we went to our meetings. But it was hard for people to join us and we find Bella’s FB page is a much more effective way to share information and network. Our focus has always been on the building up and supporting of Bella’s immune system so that she can continue the battle with her own resources, and so we focus on ways to support and not insult her immune system. Much love to you and Ty the Puppy on the Roomba! Thank you so much for this post! My Chuleta was diagnosed, about a year, ago, but she has had few symptoms, thankfully, but these resources are amazing. If (actually, when) she becomes more symptomatic, they will be super helpful references, for the both of us! What a great resource page, hopefully I’ll never need it, but thank you for sharing all of this! If I ever find myself needing resources, I will know where to come. My father’s Sheltie is battling (well, I should say, he is living with as best he can) a terminal cancer in his throat. The tumor is inoperable because of how involved it is with major nerves and blood vessels. Thankfully, my parents live near the Vet school at NC State, and after taking the dog there to have a consult with the oncology team, are educated about what to expect and how to manage symptoms. It is so sad. This is a very helpful post! I will be writing a post on Lymphoma soon, and I will be sure to reference back! WOW what an amazing array of resources – this is the kind of thing pet parents will really find helpful. I am sorry you are going through it.